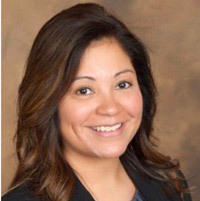 Nicole Garcia has been named director of Webster University's Lackland Air Force Base campus location in San Antonio, Texas, as of Aug. 1. She comes to Webster after several years with the Texas Air National Guard, also at Lackland AFB, where she served in a number of leadership roles. She also has several years’ experience with the U.S. Air Force as course director and curriculum developer, as well as a public health instructor. Garcia holds a master of health administration from The University of the Incarnate Word, where she was recognized for leadership and team building. She also holds a master of public health from American Military University. She is a member of the South Texas Chapter of the American College of Healthcare Executives and of the Healthcare Financial Management Association.